MacGyver Review - TV - CBS Reboots A Classic. Misses Completely. - Are You Screening? MacGyver Review – TV – CBS Reboots A Classic. Misses Completely. It’s a strange year in terms of networks heading back to long abandoned wells (even going back to spring), but MacGyver may be the most dangerous attempt, and it’s definitely the biggest miss. Crazy as it may sound, there isn’t actually anything wrong with the show, if you imagine it airing somewhere like DisneyXD, and took out the plethora of moments the show uses to roll its eyes at how stupid you are. Lucas Till plays a character named MacGyver, and the similarities to the original end there, unless you count his Swiss Army knife. MacGyver is a genius and works as part of a small, ultra-secret division of the government that saves the world daily, doing things that will never make the papers. You know he’s a genius, because the show keeps saying it at you, and because he uses whatever he has on hand to whip together whatever tool he needs at the moment. (That at least sounds familiar) Thus, the show gets a chance to explain what soot is, has MacGyver put together an electromagnet while condescendingly detailing what it is as though you’re unlikely to have heard of the idea, and puts aluminum foil into an acid and ammonia bath to create smoke (also known as Exp. 1 of 7th-grade science). I can tell you with some certainty that a new show aimed at tweens wouldn’t explain an electromagnet as though it were a particle accelerator. Adding to the insult, the plot is laid out like something Scooby Doo would reject, and with all the onscreen pop-ups leading you around you expect a “Bad Guy” arrow to appear. If you don’t know everything that’s going to happen after the first five minutes, welcome to watching television shows, sorry for the mess. It probably wouldn’t be as bad as it is if it didn’t seem to have ten different filters it’s trying to explore at the same time. Throwing back to an ’80s show has somehow resulted in sprinkling in a little A-Team theatrics, and maybe some Miami Vice and Knight Rider, but trying to be “hip” for a younger audience means we’re also looking at things like Chuck and Scorpion (another show that assumes you’re brain dead). Worst of all, or at least most confusing, this is a smarmy, obnoxious MacGyver, who has a little Bond thrown into the already overloaded mix. He is at any moment delivering patter as much as anything, talking to his routine as opposed to any person. He gives his acquired fingerprint a showy flick like a magician demanding you look in a certain direction, or someone utterly fascinated by themselves. It’s an attempt at charm gone sideways, rendering MacGyver that guy at the party you don’t really want to get near for fear of another story about that fabulous thing he did. It’s at best stagy and mechanical (which is hard to pull off), and at worst deeply insulting and deluded. Which means, it’ll probably be a hit. The one good thing about the show is that Justin Hire got paid, bouncing back from the nearly-as-ludicrous Rush Hour. At some point, someone will give him something worth his ability to command a scene. 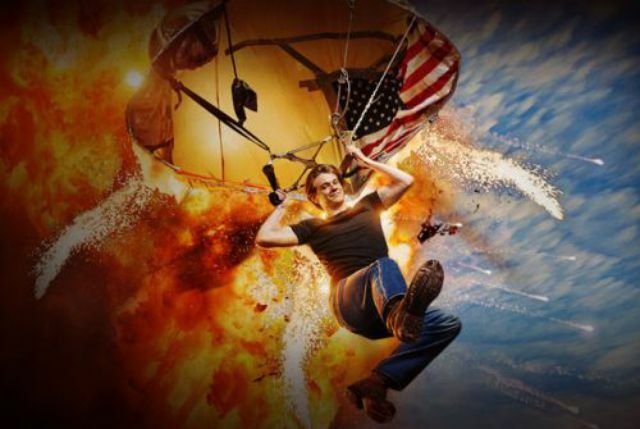 MacGyver is right in line with a slew of network offerings that are after the stupid market, believing they are out there and need shows too, but it's one step from self-mockery and all but unwatchable.